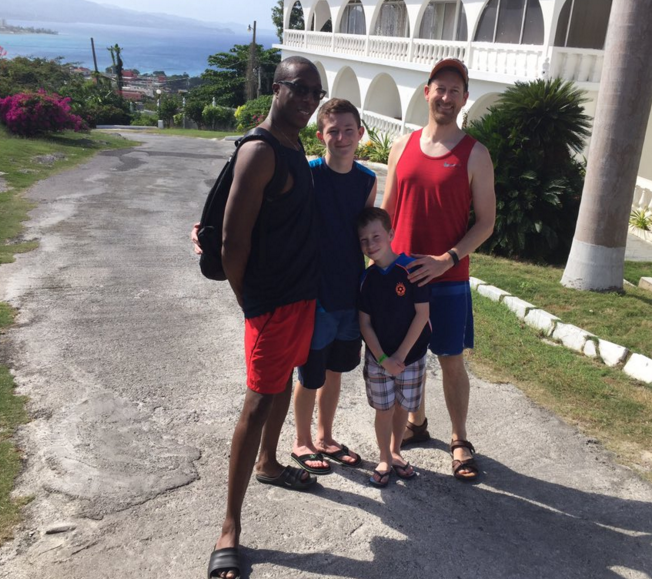 From Jamaica: Our Go, Daddy writer, gay-dad Paul J. Heney, his partner and kids are on their first-ever family cruise on Carnival Cruise Line. Here’s an update from their first stop. Our first port of call on this Carnival cruise was Falmouth, Jamaica. I was a little conflicted about this stop. Jamaica is one of the most stridently anti-gay countries on the planet, and so I felt somewhat opposed to giving any of my tourist dollars to the local economy. In the end, I decided to not make any sort of crusade out of it, and instead tried to use it as a teaching moment for our kids. While I’ve told them in the past about areas of the country or the world where LGBT people aren’t liked or tolerated, this was more real to them. They seemed shocked that such an innocuous looking place–and somewhere that we actually were–was such a “bad” part of the world, at least in one respect.